Amateur Bird Watching at Passport Control focuses on the birds which are featured on passport covers from countries around the world. From eagles to doves, from Albania to Tonga, this series explores the intersection of nation and nature. Birds are often one part of a national system of hereditary symbols, or a coat of arms, and appear debossed in metallic gold on passport covers. I spotted 50 birds or bird-related creatures on 43 passport covers. For the series, I isolated each bird from its national symbolic context and drew it true to the source, with a focus on the species’ characteristics: the famous one-legged pose of a flamingo (Bahamas), a vulture in a gliding flight (Mali), an extinct flightless dodo (Mauritius) and a part woman and part bird mythological creature, Harpy (Liechtenstein). Some birds were easy to identify, some required research using various birding resources, debate with friends and experts. Each bird was drawn on a copper plate, etched and one copy printed. What do the birds dream about? When we speak about globalization we mostly mean the global circulation of information, money and commodities. However, long before this circulation started animals, birds and insects were circulating around the world – and they still are. Migration of birds and animals preceded the migration of men. At the same time not all the animals migrate. Some of them are local – and parts of local ecologies. That is why migration of animals and other living organisms, such as viruses and microbes, is seen as dangerous for the ecological balance in certain regions. Now, the analogy with the human migration is obvious. Often enough it is also seen as a negative factor destroying the ecological balance of certain national states. Alina Bliumis came to the USA from Belarus. One of the persistent topics of her art is a reflection on the processes of accommodation and integration in which everyone with a similar background is unavoidably involved. The tone of this reflection is far from being dictated by personal ressentiment or protest. Rather, her attention is drawn by the absurdities of the processes themselves. 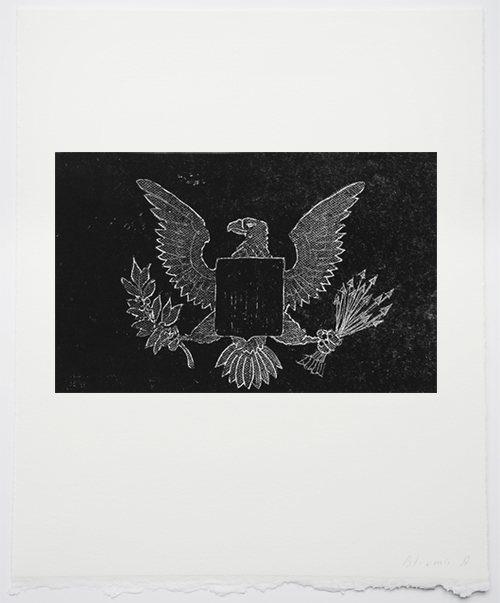 Her recent projects “Amateur Bird Watching at Passport Control” and “Political Animals” deal with the images of animals and birds that serve as symbols for different national states and thus put on the official documents, including passports, of their citizens. There is this standard expression: free as a bird. Speaking about the freedom of birds we mean, of course, the migrating birds that high in the sky cross all the national borders – the freedom which the planes, for example, do not have. However, the birds which images we find in our passports are not migrating birds. Mostly, they are birds of prey – like eagles, for example. In this respect they are similar to the political animals – lions or bears. The eagles do not migrate – they are circling in the air and controlling their territory. They are machines of surveillance. They look for a prey – and catch it. So it is clear enough why so many states have chosen the eagle as its symbol. Of course, there are also some more peaceful examples. But the common characteristic of all these birds is the fact that they are local – be it a pelican from Barbados or a parrot from Dominica. All these birds are prisoners of their territories. Do they ever dream to become free, to migrate, to visit different countries – and not only to draw always the same circles over the same territory? We do not know it. But if the birds have these dreams it is the citizens of the states that have images of these birds in their passports who realize these dreams – at least in symbolic terms. Thus, even if a parrot remains on Dominica and a pelican - on the Barbados the passports with their images have a chance to be checked at the airports all around the world. Whatever can be said about the migrants one thing is sure: they realize their birds’ dream of flying.